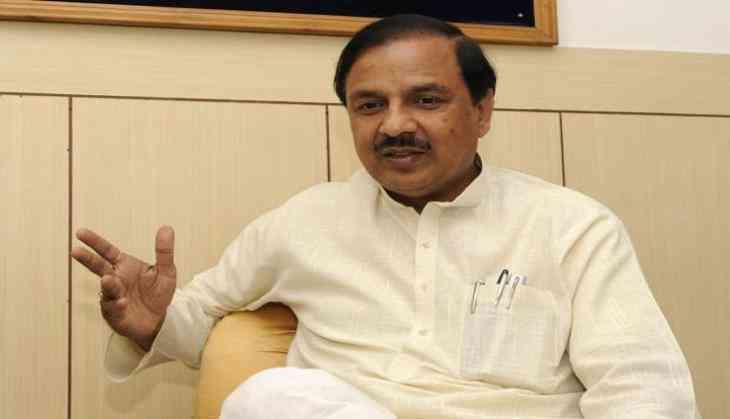 Union Minister Mahesh Sharma on Monday opined that, if Prime Minister Narendra Modi gets a second term, he will not only change the destiny of India but will also change the map of Pakistan. "The Gandhi family has not done any favour to the Country, you must see above these things, our 'Babbar Sher' (Lion) Narendra Modi is standing firm. He will change the destiny of this country in the next five years. He will not only change the map of India but will also change the map of Pakistan," said Mahesh Sharma. Referring to Congress president Rahul Gandhi as "Pappu", the union minister said called Priyanka Gandhi as "Pappu ki Pappi". Sharma said: "Pappu says he wants to become Prime Minister. So there is Mayawati, Akhilesh Yadav, Pappu and now Pappi has also stepped in. Was she not the daughter of the country earlier? Was she not the daughter of Congress? Was she not the daughter of Sonia family earlier. What new she has brought?" asked Mahesh Sharma.